This is a rectangular Good Year Service Station porcelain sign. This particular Good Year Service Station sign is blue with yellow and white text. 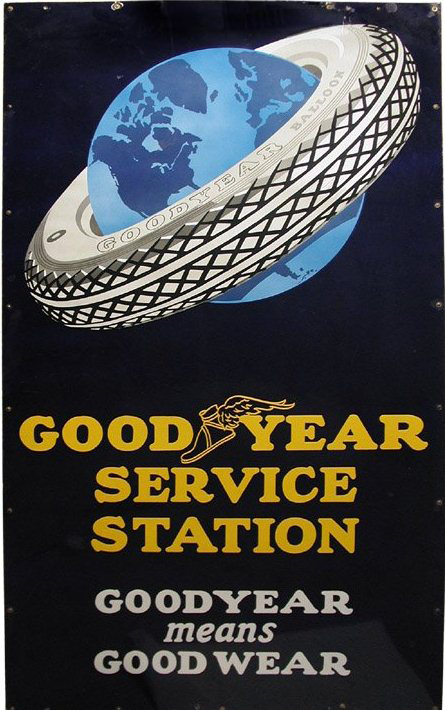 It reads, “Good Year Service Station, Goodyear means Good Wear” and features a gray tire around Earth at the top.